Wolfgang studied electric and upright basses in Austrian conservatories and music schools, including the University of Music Vienna, who granted him a scholarship to the University of Miami, Florida. He graduated with a Master's of Music from the University of South Florida in Tampa. Since his early teens Wolfgang has been playing guitar and bass in bands and written songs in a variety of styles. He loves to impart his vast knowledge of music to others. He relates well to the beginner who is trying to 'figure out' his/her heroes and who feels this is such an insurmountable task. He has a way of breaking it all down into bite sized bits that make sense. Great with students of all ages, Wolfgang can make big immediate differences in the playing of advanced students: he is the kind of teacher who can catalyze big improvements in one short lesson. He has the ability to pick up on the one thing that is holding the student back, be it a technical detail or a mental block. Wolfgang is also a sought after composer and sound designer - he has turned out music for games and toys such as the wii platform, Leapfrog games and other. So, if you are holding a Leapster in your hands, there is a good chance Wolfgang composed the music and did the sound effects for it. Wolfgang has also released a CD of comedic tracks and co-produced a Jazz CD with the 'The Fourth Stream' (Kat Austin, John Simon, and Kendrick Freeman). To hear some tracks of Wolf's compositions, go here. Wolfgang has helped build Step Up Music from the ground. He is an integral part of our school assemblies, recitals and seminars. Wolf also teaches composing and how to use the computer for making music. He taught classes on computer music in seminars all over the US, for example Jackson Hole Wyoming and Sitka, Alaska. Lastly, if you have problems with your computer set up, feel free to get in touch with Wolfgang via the School's channels. He can fix just about anything. DISCLAIMER: Step Up Music provides information about these teachers without any warranty as to the services to be provided by the teachers or whether the services will be available. 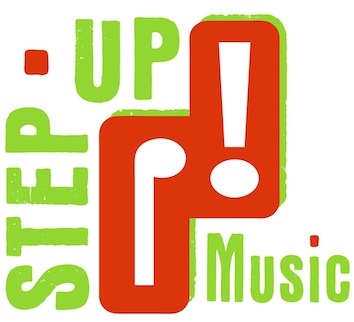 If you desire to retain the services of any of the teachers, you will contract with the teachers directly and you agree that Step Up Music has no liability of any kind in connection with any services you may receive.